I have a new product that I have to brag on. I think you'll want to try it, too. I've never really been one to use concealer as part of my morning make up routine. I usually just add a touch of cream/white eye shadow to give me a little brightness under the eyes. But, Father Time is catching up with me, and I'm noticing some darker areas underneath and around my eyes. 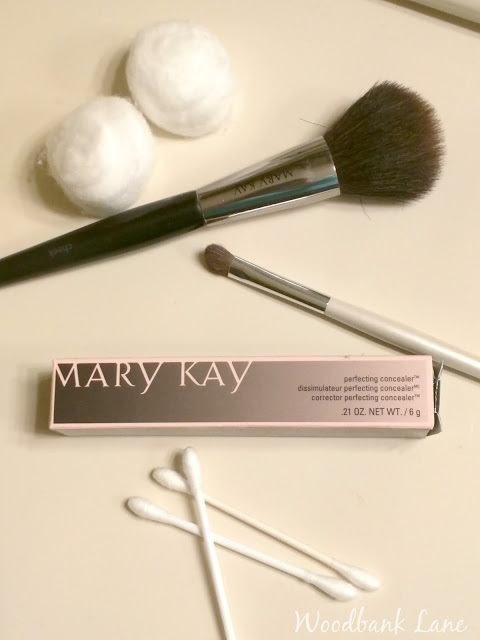 Here's how I fixed my problem: Mary Kay's Perfecting Concealer. This is a newer product to the Mary Kay line, and I love it. It's not heavy--lighter than foundation--yet heavy enough to cover what you want it to. When it dries, it has a somewhat matte finish. I even use it on my lids at times as a base for my eye shadow. Some days when I don't feel like going through the entire making up process, I will just use the concealer with powder, and it does the job. The concealer is $16 and comes in six shades. I use the lightest one, "light ivory." If you are interested, you can see the Mary Kay catalog here.